It’s hard to be heard on social media. Tightening algorithms are crushing organic reach. You can’t outsmart bots or hack your way to success. Plus, more content is being created every day (meaning more competition for your own posts). It’s not just other marketers you’re competing with, either. You’re fighting for attention against everything else folks can find on social media. So, what’s a busy marketer to do? The answer starts with honing their writing skills. Without sharp copy, it’s nearly impossible to cut through the noise and capture user’s attention. Too often though, companies prioritize mechanics (such as timing and posting frequency) over craft and creativity. This leads to a “quantity over quality” approach, producing uninspired posts that fall on deaf ears (and wastes precious time and budget on ineffective execution). 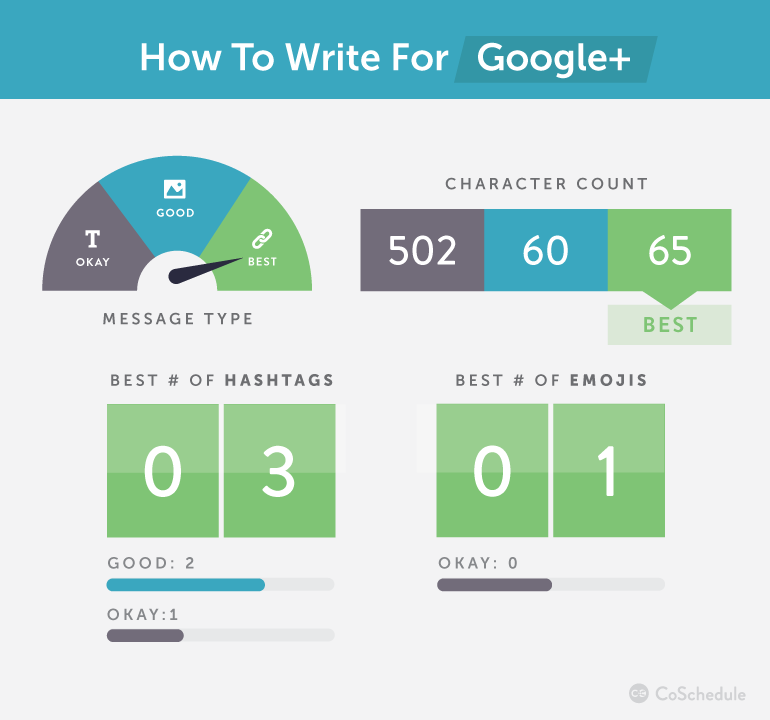 Basic writing best practices for each major social network. Readers will go beyond mechanics (like character limits and hashtag guidelines) and learn how to tailor messaging to each network. 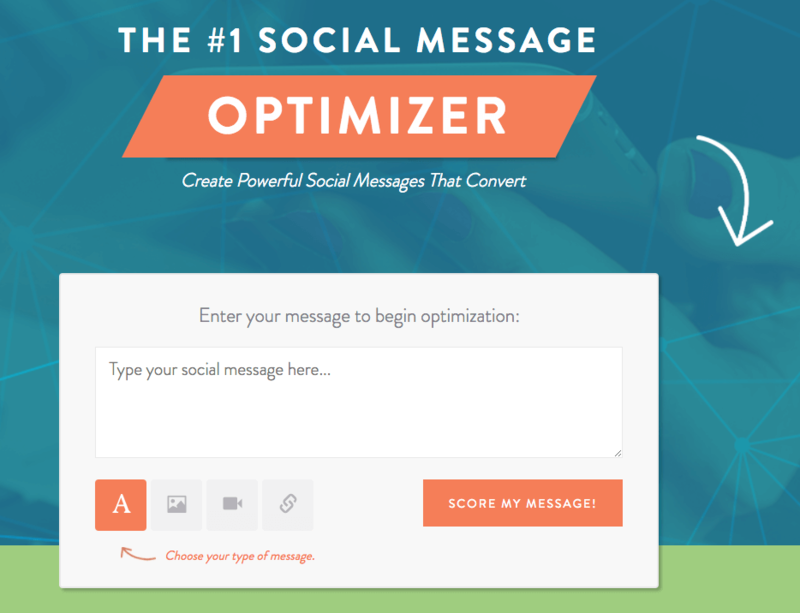 Time-tested copywriting formulas and tactics to create compelling messaging. Platforms and technology change. The basic principles of marketing and persuasion, however, do not. Examples of what good social media writing looks like in real life. Success is often easier to emulate when you can actually see it in action. Success is certainly never guaranteed. But, by committing to writing better for social media, you can give yourself a fighting chance. Quality content and creative copy beat sound mechanics. However, following basic best practices will give your posts the edge. Everyone knows Twitter has a 140-character limit. How long should social media posts be? The short answer is that great content is great content, regardless of length. The longer and data-backed answer is a bit more complicated. Our team at CoSchedule wanted to get to the bottom of this once and for all. 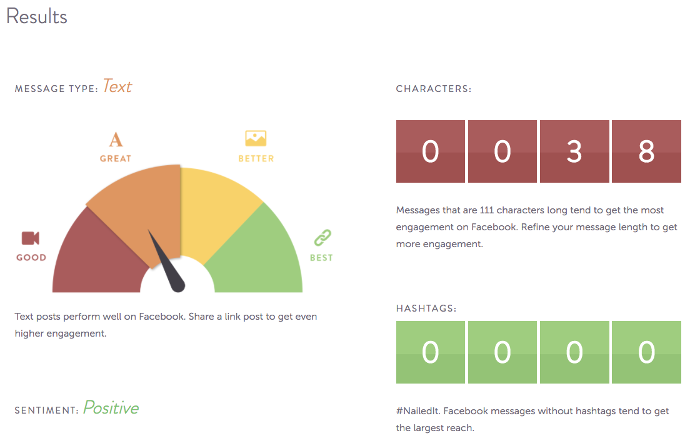 So, we analyzed 6,399,322 social media posts (seriously) to see how length correlated with performance. Our findings contradicted some popular wisdom around the subject (including some things we assumed were commonly-known truths). Here’s what we found (broken down by network). Traditional wisdom (for retail brands) has been shorter equals better on Facebook. 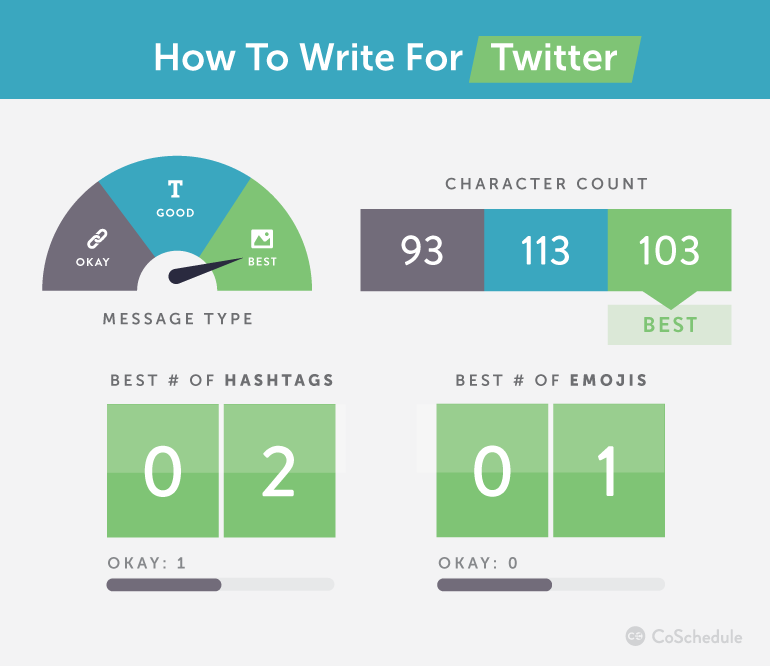 However, we discovered that posts around 110 to 120 characters (with some rounding) performed best overall. One popular assumption our data did confirm, though, was that hashtags underperform on Facebook. The platform simply doesn’t utilize them as effectively as Twitter or Instagram. This may be because they’re a telltale sign you’re cross-posting onto Facebook from one of those networks (and the empire Zuckerberg built would prefer you create content specifically for Facebook instead). Emojis are a popular platform, however, but use them in moderation. The top-performing posts we analyzed on Twitter included an image and somewhere around 100 characters (give or a take). Hashtags are highly recommended here where applicable, too. So are emojis (although we don’t recommend going overboard). Instagram is all about stunning visual content. Strong captions do matter here, though, as does liberal usage of hashtags and emojis. 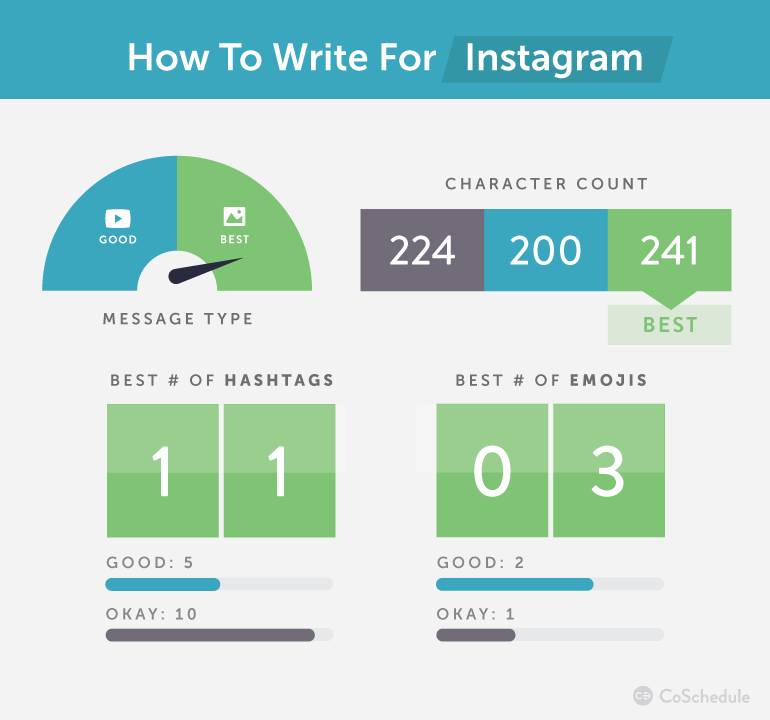 So, give your Instagram posts detailed descriptions. Load up on relevant hashtags to make your posts easier to find, too. Like Instagram, Pinterest is all about eye-catching imagery. Similarly though, detailed descriptions demonstrated better performance than shorter post copy. Hashtags didn’t prove to be effective here. The only place where they’re clickable are in Pin descriptions (which is something to keep in mind if you do use them). Emojis, meanwhile, aren’t widely supported on Pinterest. That likely accounts for their limited impact on Pin performance. LinkedIn is all about information sharing and establishing yourself as an authority. So, it makes sense that link posts (to well-written and authoritative content) performed best. Similar to Facebook, the best posts were long enough to be descriptive, but short enough to skim. 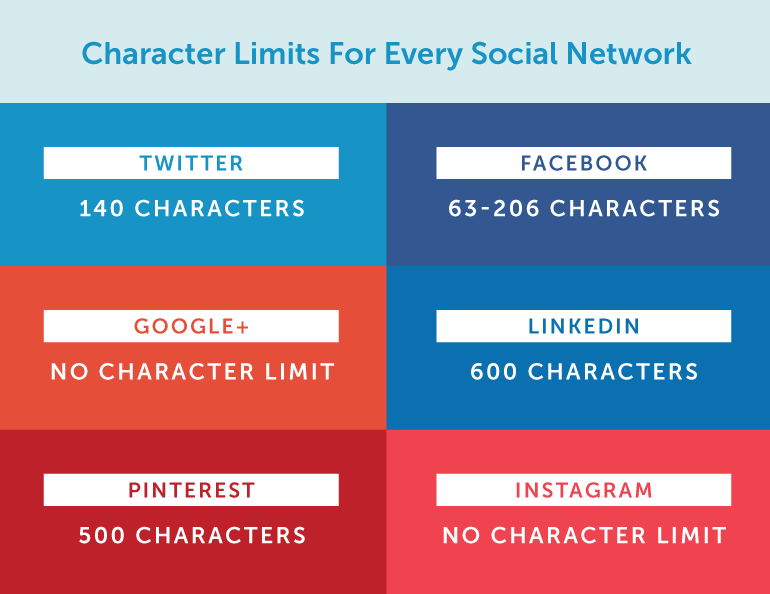 That puts them around the 90 to 150-character range. Hashtags aren’t supported here. Emojis aren’t either, unless you copy and paste them in from elsewhere. 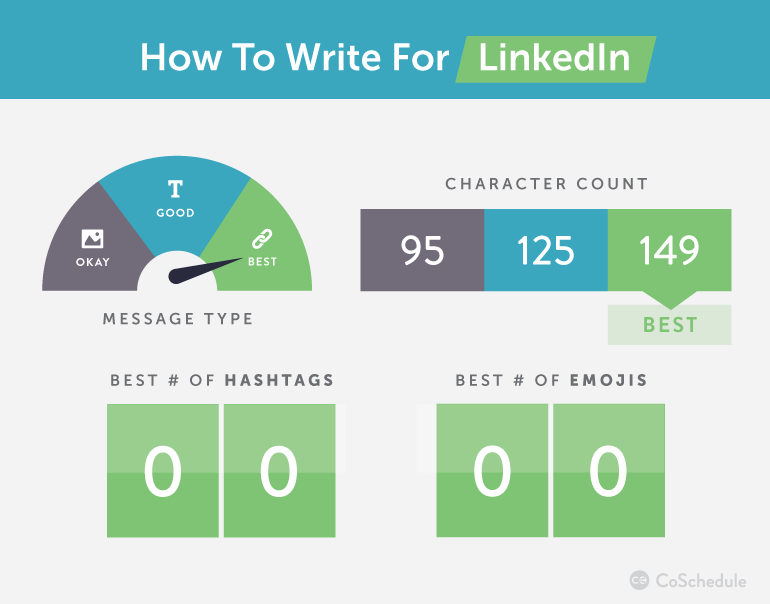 Since this is a professional network, emoji’s whimsical flair isn’t likely to connect with your audience like they might on other networks. Google+ is a ghost town, right? Don’t tell that to the networks’ 111 million active users. The network is noted for supporting Markdown and detailed formatting for long-form posts. However, we found that shorter copy did better. Feel free to throw in a few hashtags (and maybe an emoji) too. Perhaps more important than understanding network mechanics is understanding network intent. This means it’s important to know what people want when they use each platform. After all, if your posts aren’t aligned with what your audience expects on a given network, they’re not likely to perform well. So, your writing should be uniquely suited to each network where you’re creating and sharing content. For example, your Facebook posts (where they’ll be seen sandwiched between updates from friends and family) shouldn’t sound the same as your LinkedIn copy (where it’ll be read along with updates from people’s professional network). How do you make sure your posts sound like what your audience wants? Start by developing your social media voice and tone. If this feels murky, it might help to understand exactly what voice and tone mean. Voice: What does your brand consistently sound like on social media? Another way to understand this is to think about your brand’s personality. Tone: This is the inflection you apply to your voice (ex: excited, serious, happy, etc.). Describe your company in three words. Which trio of adjectives best describes who you are? Each of these processes can help you begin defining what your voice sounds like in clear and simple terms. What’s the average demographic for our audience? Do we have a casual or professional audience? What sorts of problems does our product solve, or wants do we fulfill? Your audience. Who are you writing for (and what kind of verbiage do they use)? Your choice of language. Personal? Professional? Casual? Serious? Your tone. This will adjust to suit your subject matter. Your purpose. What do people buy your product to get done? 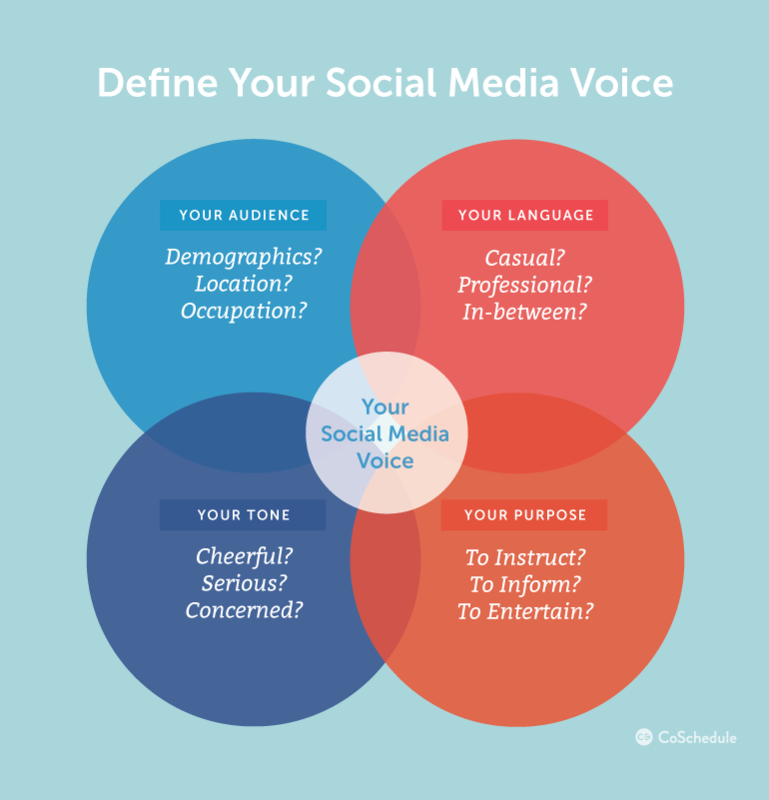 How can you know whether your posts are effectively optimized and well-targeted toward your audience with the right voice and emotional sentiment? Useful stuff, for sure. Try it yourself here. Platforms and technology change. The basic principles of marketing and persuasion, however, do not. That means many classic copywriting formulas that have worked for decades still work on social media (even when writing organic campaigns). 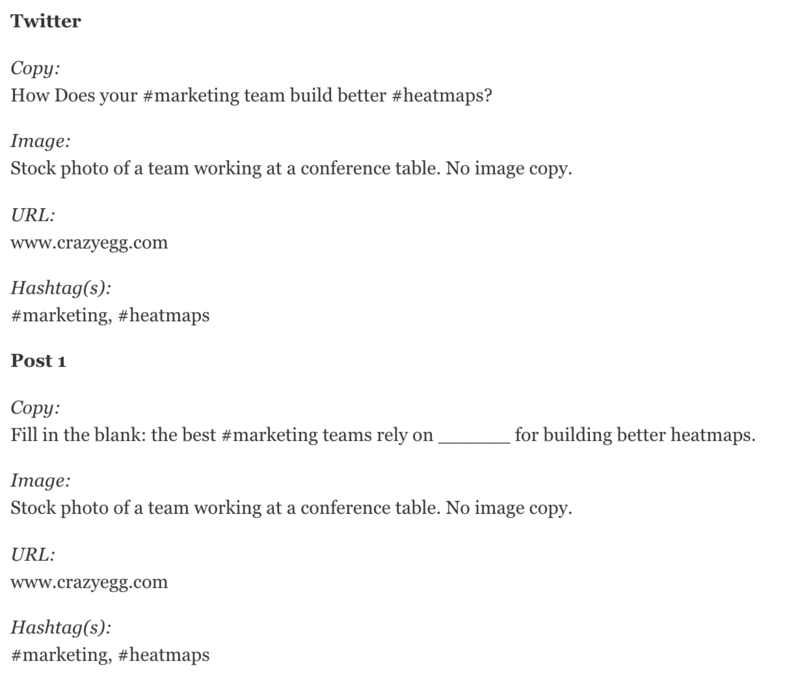 Granted, there are tons of copywriting formulas out there (copy mastermind Joanna Wiebe has gathered an impressive list here, and so has Buffer’s Kevan Lee here). 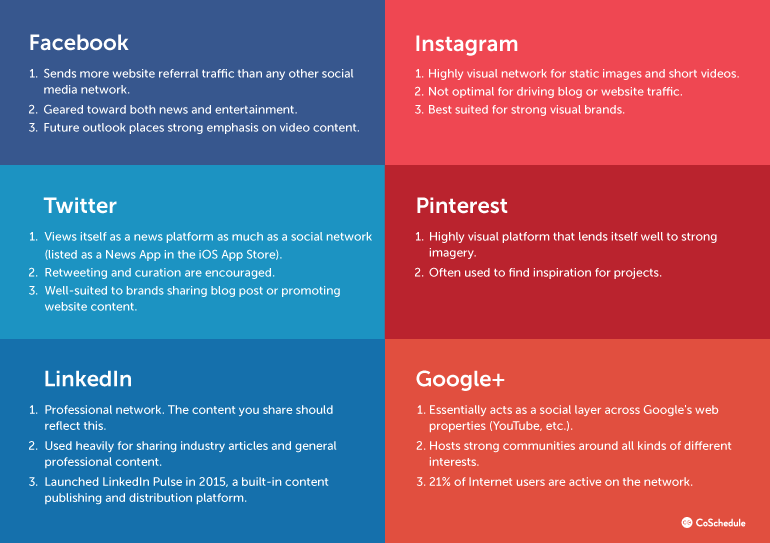 However, here are a handful that work well on social media to get you started. Everyone’s got problems (Jay-Z once famously had 99 of them—sounds rough). Pick one you can solve (whether with your content or product), remind people why said problem is a hassle, and then roll out the solution. This one is as simple as that. You don’t know how users act on your site. That = lost $$$! Attention. Include something hard to believe in your copy (like an interesting stat or attention-grabbing phrase) or an eye-catching graphic. Interest. Once you have someone’s attention, follow through with something interesting. Desire. Reinforce what makes your content interesting and stoke desire to take action or learn more. Action. Get that click-through / purchase / form completion / etc. The way this works is by introducing a problem, offering a vision of a better future, and then providing a solution. It’s similar to PAS, but with more emphasis on looking ahead to a better version of you (and as we all know, people buy better versions of themselves, not features). 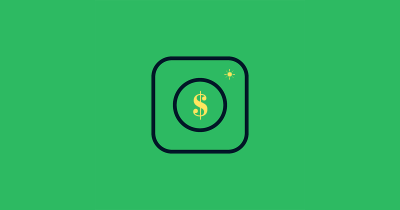 This is another simple pattern that’s perfect for making a direct tie-in to your product or service (assuming that’s appropriate for your campaign). State a feature, describe what makes it better than the competition, and end on how it will improve your customer’s experience. The catch? Your product or service actually needs to have an edge somewhere over your competition. The 4 C’s are essentially everything they sound like. Make your copy short, interesting, and backed by a reputable source. There’s no need to overthink it beyond this. This is somewhat similar to the 4 C’s, but with more focus on utility and timeliness. It should also be narrowly targeted to one specific audience while promising to offer something the reader won’t find somewhere else. This one can get uncomfortably close to clickbait if you’re not careful. The way it works, though, is to leave out just enough information to compel your reader to click through to learn more. While spontaneity is good on social media, winging it each day is likely to result in an inconsistent social media presence stitched together with rushed content. One way to combat this is to include both comprehensive campaigns and ad hoc posts into your social media content strategy. Ad hoc posts are single one-off messages. 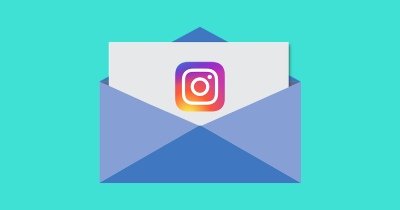 They might be spur-of-the-moment behind-the scenes posts from around your office, responses to breaking news, or other timely and unplanned posts. A campaign is a series of interconnected posts. Strong social media campaigns reinforce consistent messaging that leaves a lasting impact on your audience. Planning and executing them effectively requires careful preparation, though. Your social media schedule should include both types of posts. For now, we’ll focus on creating coordinated campaigns that purposefully promote one message or piece of content. A creative campaign slogan to build brand awareness and loyalty. A piece of content you’re driving traffic toward (like a blog post, podcast episode, or video). A signup form for a contest or newsletter subscription. These are just a few ideas. Nailing this down is important for ensuring your campaign has a unified purpose, which each post promoting a consistent message and goal. Next, start writing your posts. This is where the rubber meets the road. Copy. The actual text of your post. Image direction. If a designer will need to create graphics, what exactly do you need from them? 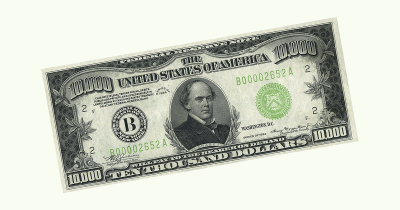 If images will have text on them as well, specify that copy up front, too. A URL (optional). If your campaign will be linking somewhere, include it in your content doc. Hashtags (optional). If your campaign will include any hashtags, plan them in advance. Lay out your document with each network and post clearly labeled, according to which networks you’ll be targeting, and how many posts you’ll create on each one. 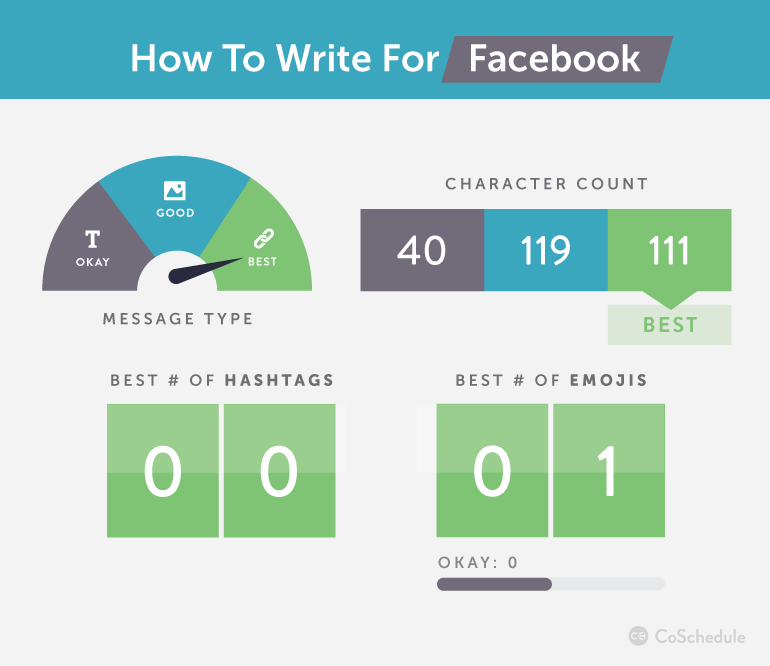 What Does Good Social Media Writing Look Like In Real Life? Success is easier to achieve when you have examples to emulate. 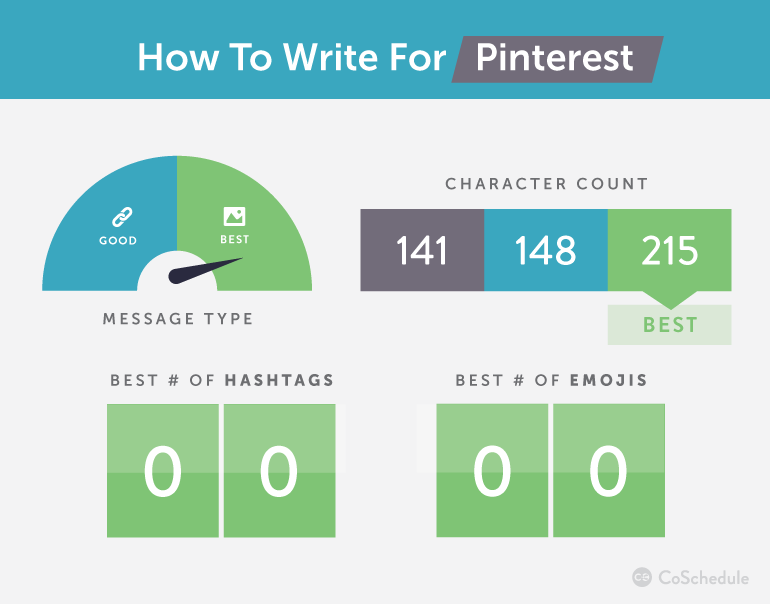 With that said, here are seven real-world examples of well-written posts that cut through the noise and delivered results. We’ll also break down the elements that made each one work (so you can apply those lessons to your own work). The benefits of playing guitar. One million followers never looked so delicious. This Facebook post from marketing automation software provider Autopilot agitates a problem (lead generation is hard) and then offers a solution. Boom. This post from Bobcat Company hooks people’s interest, strategically incorporates a hashtag within the post copy (typically ill-advised on Facebook, but demonstrates an example of where one can work), and delivers with a link to a quiz that encourages people to develop a greater connection to Bobcat’s brand. This post speaks to people’s habit of scrolling on their phones in bed (and admit it, you’re probably guilty as charged here). Follow along on the brand’s Twitter, and you’ll see tons of tweets that are as simple and effective as this one. You don’t need a budget to be creative. Casper relies almost 100% on Twitter copy (and very few images or videos). Great content will get noticed. Why are people talking about mattresses (something you purchase maybe once every ten years) on Twitter and in marketing circles? Because their stuff is legitimately entertaining in its own right and it’s flawlessly tied into their product. Best practices will only take you so far. Sure, things like character counts and optimal posting frequencies should be taken into consideration as starting points for planning your social strategy. However, when determining what’s most important for driving success, compelling content beats out everything else. No exceptions or excuses. Now, I’d like to take a nap, but we’ve got a couple more examples to look at. Everyone poops and no one understand that better than Charmin. Like Casper, they excel at taking a “boring” product (toilet paper) and make it interesting with catchy copy and a consistent brand voice. This tweet addresses a common problem (toilet clogs) and promises to deliver an actionable solution (linking to an article on how to avoid toilet clogs). Straightforward and effective. This tweet from Netflix tells a story in three parts (and under 140 characters). It promotes the launch of a blockbuster movie arriving on their service while indirectly offering a solution to their followers problems (going from having nothing to do, to suddenly having something they absolutely have to stay home and watch). Tonight’s plans are the Rebels. Creatively putting your audience in the driver’s seat works. 681 retweets and 2,472 likes can’t be wrong. It’s time to start thinking strategically and creatively about every social media post you publish. With the guidance we’ve gone over in this post, you should now have the knowledge you need to cut through the noise, reach your audiences, and drive more success. Best of all, none of this requires a large budget or a large team (although those things certainly help). All it takes are a working knowledge of basic copywriting, a little bit of creativity, and a commitment to doing better work. Ben is the Blog Manager at CoSchedule. His specialties include blogging, content strategy, SEO, social media, and email marketing. Try CoSchedule free for 30 days here.